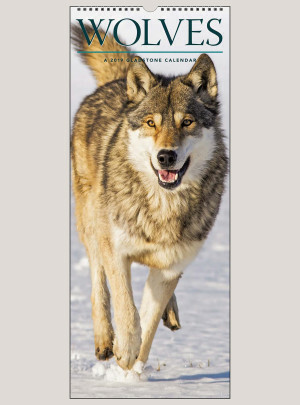 The legendary wolf has long been a symbol of transformation and power. 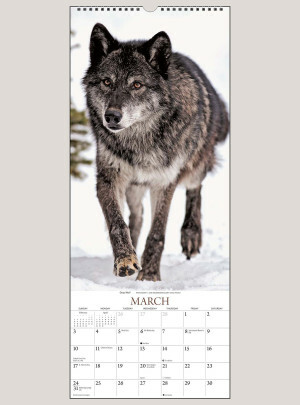 Photographs of these animals embody freedom, inner strength, and untamed nobility. 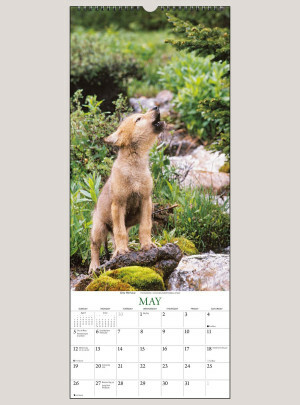 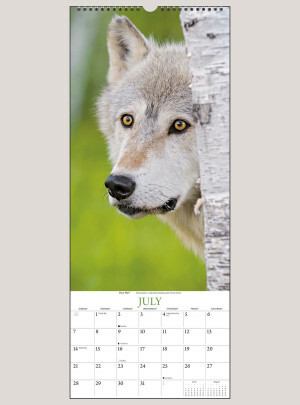 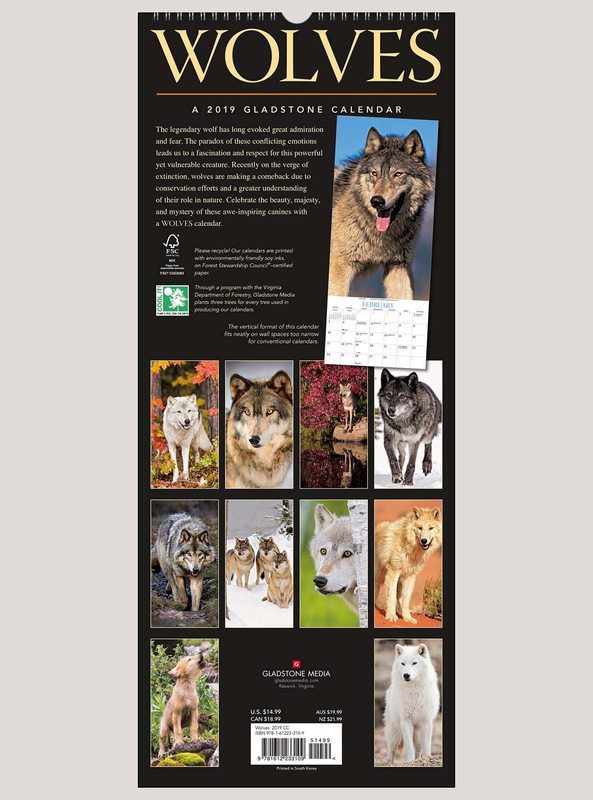 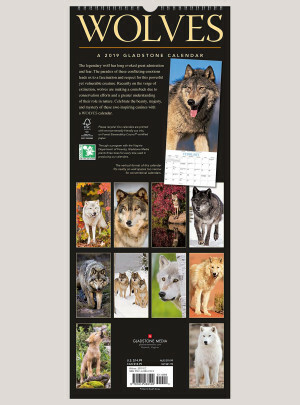 With 12 tall photographs of these once-endangered creatures, the Gladstone Wolves calendar celebrates their indomitable spirit. 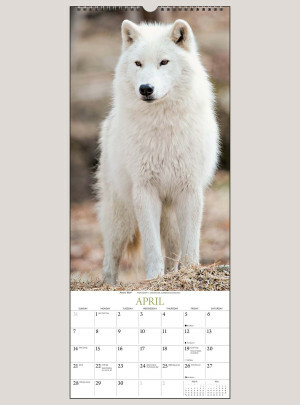 Love this calendar. I had bought the 2018 one, really loved it and didn't hesitate to order the 2019! The pictures are beautiful, the paper is high quality and it held up all year. 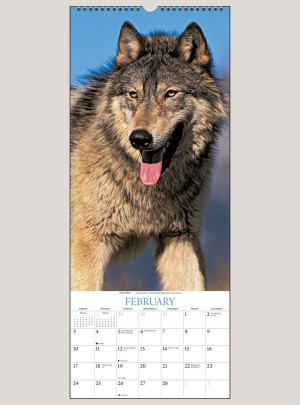 Great calendar for a cheap price!